This is the entire First Suite for Military Band in Eb, Op. 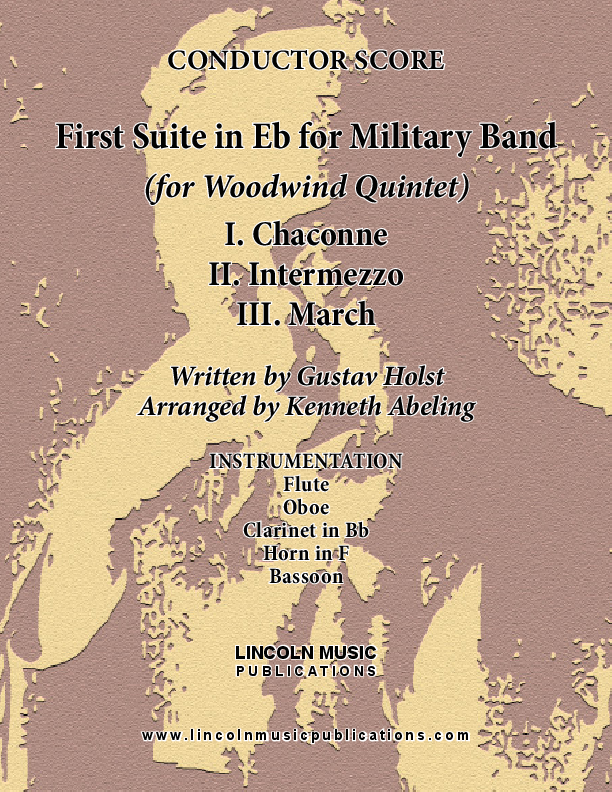 28/a by Gustav Holst transcribed here for Woodwind Quintet. The three movements are: I. Chaconne - II. Intermezzo - III. March. This is an early advanced to advanced performance level transcription.